The US and NATO mission in Afghanistan has been a complete failure, the Russian President’s special envoy for Afghanistan, Zamir Kabulov, told TASS, in evaluating the effectiveness of the International Security Assistance Force (ISAF) there. “Assessing the results of the actions of the International Security Assistance Force in Afghanistan, it can be said that they have completely failed their mission,” Kabulov said in an interview to TASS, adding that the ultimate goal of the ISAF anti-terrorist campaign, which consisted in creating “a democratic centralized state” in Afghanistan, has not been achieved. He also emphasized that, failing to defeat the Taliban by military means, the ISAF’s current policy of national reconciliation de-facto envisions their participation in the new political power structure of Afghanistan. Kabulov drew attention to the fact that the ongoing “Decisive Support” training mission, which the US and their allies in Afghanistan are currently conducting, has also shown very little result. The program aims to improve the combat readiness of the Afghan army and police, enabling them to independently secure stability and order. With the Taliban bearing down on different parts of the country, Western troops have been forced to directly engage in combat, leaving them less time to focus on training Afghan soldiers, Kabulov said. Meanwhile, according to the Russian President’s special envoy, the situation in Afghanistan remains tense, with “high or extraordinary” security threats present in 27 of the 34 Afghan provinces, as Taliban militants intensify their activities in different parts of the country. On December 11, the insurgents assaulted the Spanish embassy guesthouse in the Afghan capital. The militants also killed six US soldiers in a suicide bomb attack on the Bagram air base. The Taliban has seized part of Afghan’s southeastern Helmand province and heavy clashes with government forces have already been taking place there for several weeks. 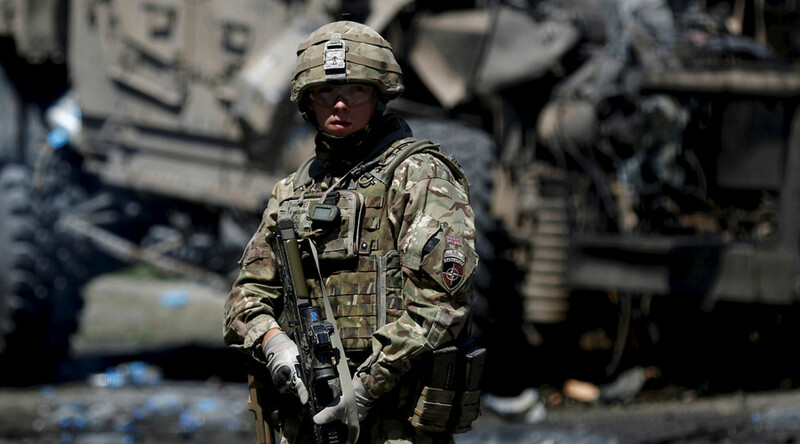 British troops were redeployed to the province after the militants took control of the town of Sangin a year after NATO forces formally ended their combat operations in Afghanistan. In October, militants seized two districts in Badakhshan Province and even held the large northern Afghan city of Kunduz for several days in late September before government forces managed to retake it with heavy air support from the US. In the country’s north, the Taliban has created several bases and about 15,000 militants operating in the area pose a threat to several Afghan provinces, Kabulov warned. In the meantime, despite being in open conflict with the Taliban, Islamic State is also trying to take hold in the country, posing additional threats to the region’s security. At the same time, Kabulov stressed that Russia is ready to help Afghanistan cope with its security problems and “consistently lends comprehensive assistance” to it. Russia supports the Afghan policy of national reconciliation and “is ready to be flexible over a potential easing of the UN Security Council’s sanctions regime against Taliban if it does not contradict the Afghan national interests,” Kabulov told TASS. Additionally, Russia is expected to deliver 10,000 AK-47 assault rifles to the Afghan army along with accompanying ammunition in January 2016. This matter is almost settled, according to Kabulov. Russia is also holding talks with the Afghan authorities about helicopter shipments. By late November, Russia had delivered 57 KAMAZ trucks, worth $2.5 million, to Afghanistan free of charge, Kabulov added.